Smithfield, RI - For an industry that has entered its 10th decade in the Ocean State, radio has certainly had a fair share of notable broadcasters leave an indelible mark on the local landscape. The Rhode Island Radio Hall of Fame was established in 2008 as an idea among local radio professionals, to celebrate the storied history of the industry in Rhode Island, and to honor the men and women who have played a part in its growth. Vincent A. 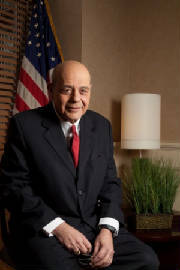 “Buddy” Cianci, Jr. – Former mayor of Providence, Cianci’s radio career began during his first term in the 1970’s by making appearances on local stations, using the airwaves to promote policy – as well as Providence. His first “full-time” radio position began with WHJJ-AM in the 1980’s, and continues today with ratings success at WPRO-AM in Providence. Since returning to the airwaves, Rhode Island Monthly readers have voted Cianci as “the Best Radio Talk Show Host in the state four years in a row. 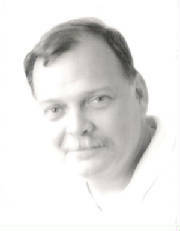 John “Coach” Colletto – Colletto began his radio career as a DJ and newscaster at WARA-AM in Attleboro, and by 1979 he was the morning show host. In March 1981, Colletto moved on to Providence and WPRO-AM, and joined “The Salty Brine Show” in 1982. 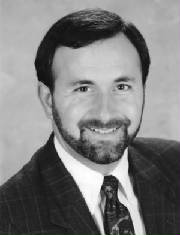 Salty gave Colletto the nickname “Coach,” and he remained a fixture at WPRO and WSKO-AM/FM through 2006 as a show host and personality. Colletto also spent time as a radio analyst for the Providence Bruins. Bill Corsair – a Rhode Island native, Bill Corsair is a 20-year Guinness Book of World Record holder for “Most Attempted Calls To a Radio Talk Show.” He has multiple RI radio credits, in the ‘60s & early ‘70’s including #1 rated Noon to 3 PM show on WICE-AM. He is the original voice of Hasbro's talking G.I. Joe, recorded ironically a year before his RI National Guard Company was ordered to active duty in Vietnam. 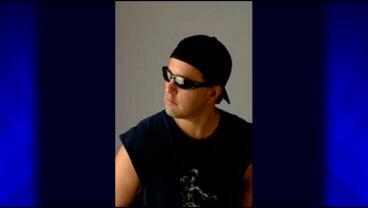 Mike Gonsalves – Known as “Doctor Metal,” Gonsalves was a staff DJ on WHJY-FM for 17 years, where he had also worked previously as an intern while a student at Rhode Island College. His Saturday night program, “The Metal Zone” was the longest-running continuous heavy metal radio show in the country at the time. Gonsalves perished in the West Warwick Station Night Club fire of 2003, which killed 100 people. 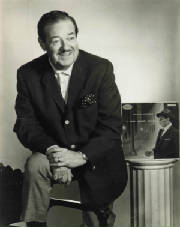 Fred Grady – Grady began his career in the 1950’s on WPAW, playing jazz in all of its variations. Grady helped shaped jazz culture in the region at a time when jazz musicians included many very creative and talented performers, working and writing music at the creative edge of American culture. Grady became a fixture as an announcer for the Newport Jazz Festival, and later hosted a show on WBRU-FM in the ‘80’s. He passed away in 1987. Bob Sullivan - born in Newport, RI in1949, Sullivan made the community his home – on and off the air – for the next 57 years. Known for his biting wit and wide range of interests on WADK-AM, Sullivan served as News Director and for more than thirty years as the host of “The Open Forum,” setting a standard for local talk and fair, balanced reporting. 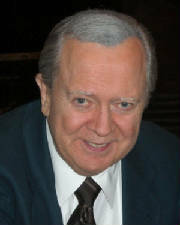 Sullivan passed away in 2007. Additionally, the Shepard Award – created to recognize the founders of radio (John and Robert Shepard, owners of the Shepard Department Stores) in the Ocean State and to honor present-day contributors to the industry through leadership, dedication, achievement, innovation and spirit – goes to Barbara Smith. Smith began her radio career in 1964, working for WPRO-AM/FM in the traffic department, and for most of the next 48 years, she remained a fixture within the business operations of the station ownership groups. Smith retired from the industry in 2012. This year’s induction class will also include a new award presentation, for the Broadcaster of the Year. Created to recognize outstanding radio stations and their personnel on and off the air, the inaugural winner is WCTK-FM. Broadcasting as a country music format since 1989 and known as “Cat Country” since 1994, WCTK has long supported philanthropic efforts within the community, raising funds and awareness for many worthwhile causes. The stations’ "Snowball Concert" in Cranston raised $30K for the American Heart Association's "Go Red For Women" campaign. WCTK is also one of the top-rated country music stations in America, including the #1 PPM country station in the nation (March 2012).